In a report released on Wednesday, the State Department inspector general said that Hillary Clinton violated the agency’s rules with her private email server. The report also said that Clinton was not cooperative with the investigation and declined to be interviewed by the auditor. Clinton aides Huma Abedin, Jake Sullivan and Cheryl Mills also declined to be interviewed. Politico reports that the State Department’s auditor found “‘longstanding, systemic weaknesses’ with records that ‘go well beyond the tenure of any one Secretary of State,’” but focuses on Clinton’s mishandling of records in particular. 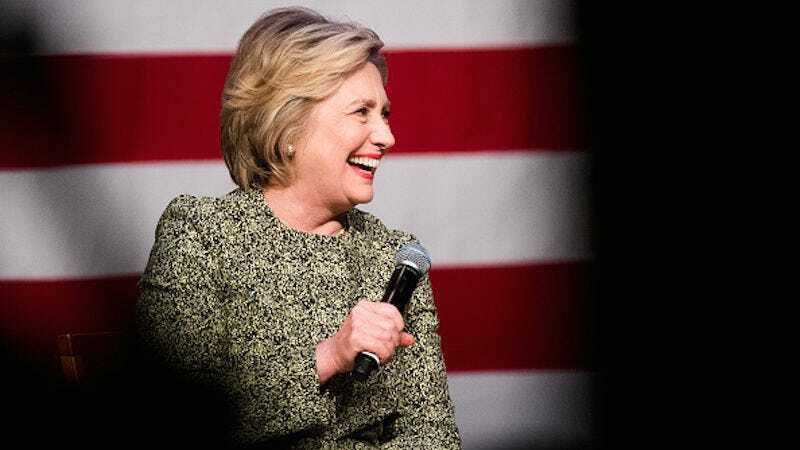 The report also singled out Clinton for her decision to use a private server to send department-related, classified emails on an unsecured server. The report said that Clinton should have discussed that decision with departmental security officials. Clinton’s decision, the inspector general concluded, presented “security risks” that were unacceptable to the department. Neither Clinton nor her camp has responded to the report. She has repeatedly insisted that she had the server for personal privacy, that she did nothing illegal, and was not attempting to evade State Department record rules. And whether or not the report will have an impact on Clinton’s presidential campaign is hard to gauge, as it essentially tells us what we already know: Clinton had a private server and it did not comply with State Department rules. Any inference beyond that belongs to the reader.